shop now Black and white, with touches of cobalt blue. 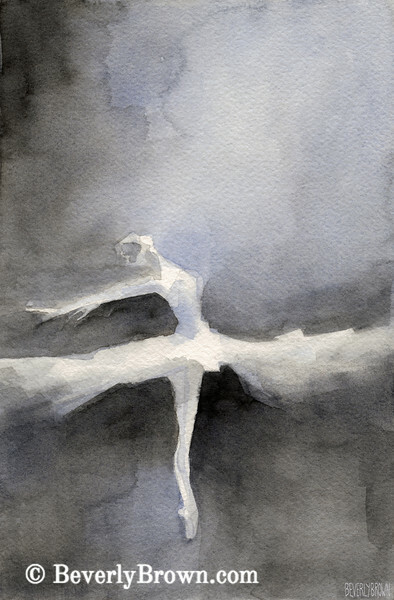 One of a trio of paintings inspired by the ballet, Swan Lake. Copyright Beverly Brown.